Home » Alumni » Famous Acacians from UNL! Samuel Edwin “Ed” Weir (March 14, 1903 – May 15, 1991) was an American collegiate and professional football player. 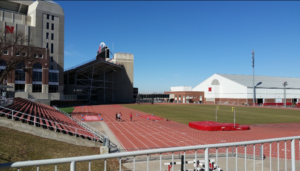 Ed Weir Stadium at UNL! Weir is a member of Acacia Fraternity (#326) initiated on 5/6/1925 into the Nebraska Chapter. His greatness is still alive today as the track and field complex was later named in his honor. He was the first Nebraska Cornhuskers football player elected to the College Football Hall of Fame and is known as one of Nebraska‘s greatest athletes. In 2005 the Omaha World-Herald, as part of a series on the 100 Greatest Athletes of Nebraska, named Weir the 19th best athlete in the state’s history. Weir played on the line at Nebraska and was captain of the 1923 team that beat the “Four Horsemen” of the University of Notre Dame. He was elected All-American in 1924 and 1925. Weir turned down offers to play professionally in Jacksonville in 1925. He went on to play professionally for the Frankford Yellow Jackets of the National Football League (NFL). In 1927, he and several teammates took over the coaching job in mid-season and achieved a 6–9–3 record, as Weir earned All-Prohonors. The following year, Weir coached the team to an 11–3–2 record, good for a second-place league finish. Brother William Hastings was initiated 3/19/1938 into our Nebraska Chapter of Acacia Fraternity with roll number #462. Coincidentally his pledge brother was Cliff Hillegass (#448) who became a multi-millionaire by inventing “Cliff’s Notes”, which almost every college student has utilized. 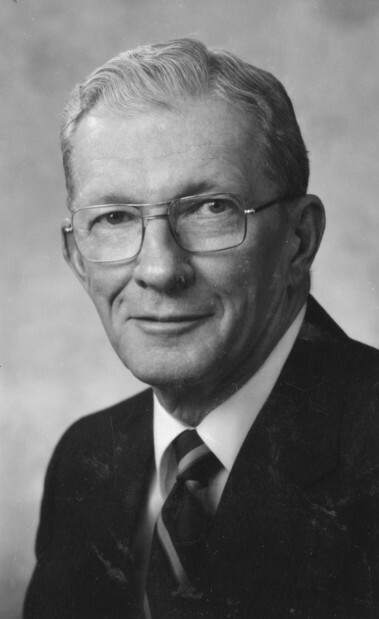 Hastings served as a Lancaster County district judge from 1965 to 1979, when he was appointed to the Nebraska Supreme Court by then-Gov. Charles Thone. He became chief justice in 1987 and retired from the court in 1995. During his time on the Supreme Court, Hastings became one of the primary advocates for establishing the Nebraska Court of Appeals to address the high court’s backlog of cases. As a judge, he was committed to administration of equal justice for everyone and to addressing gender and racial discrimination issues in the court system, said his daughter, Pam Hastings Carrier, a retired Lincoln attorney. Hastings was born Jan. 31, 1921, in Newman Grove. He is survived by his wife, Julie Ann; daughter and son-in-law, Pam Hastings Carrier and Jim Carrier of Lincoln; sons and daughter-in-law, Chuck and Jeanne Hastings of Hastings and Steve Hastings of Barrow, Alaska; grandchildren Diane and Elizabeth Hastings and Daniel Carrier. As a boy, William Hastings contemplated a number of ways he could spend his life. A forest ranger. An engineer. A Navy man. But a new high school course — Practical Arts, which combined business law, debate and public speaking — introduced when Hastings was a senior at Newman Grove High School, got him thinking about being a lawyer. Color blindness kept him from the U.S. Naval Academy. And other decisions led him to the University of Nebraska and a program in which he could take classes in law his senior year in college. World War II intervened, and an 18-month stint with the FBI as a fingerprint specialist and two years with the Army, before he finally returned to Lincoln to finish law school. More than a few people are glad it worked out for the man who would go on to serve 47 years in the law profession, 30 of those as a Lancaster County District Court judge, a Nebraska Supreme Court judge and then Chief Justice, before retiring in 1995. He died Saturday in Lincoln at age 89. Hastings played a major role in creating the Nebraska Court of Appeals, to lessen the backlog of cases that was mounting in the early 1990s. “He was fair, thoughtful, always considerate of litigants and counsel,” said attorney and professor Susan Jacobs, who teaches criminal procedure and ethics at the University of Nebraska-Lincoln. Jacobs chaired the Nebraska Supreme Court Task Force on Gender and Fairness in the Courts that he appointed as chief justice. The task force addressed such issues as hiring practices and training of court employees in language and preventing bias. Pam Hastings Carrier, who is an attorney, said her father was committed to equal justice for everyone. In 1995, as he was leaving the court at age 74, he said progress had been made in the area of gender equity, but there was still a long way to go. “Having both a daughter and a son who are lawyers has helped to shape my focus,” he said. Gov. Charlie Thone appointed Hastings to the Supreme Court in 1979. He chose Hastings because he was so confident in his judicial temperament. “He epitomized what you were looking for,” Thone said. And as chief justice, Hastings was highly regarded, Thone said. And even on the district court bench, he was respected for his punctuality in getting opinions written and delivered on time. “He was just a class act in all regards,” Thone said. Justice John Wright, who served with Hastings on the Supreme Court, said he placed his obligation to the court above everything else he was doing. And it was always a pleasure to work with him, he said. And he was a hard worker, taking on nearly all the administrative work of the court himself, in addition to doing his full load of opinions. Judy Beutler, Nebraska Supreme Court deputy administrator, said Hastings was a quiet, gentle, kind person. “He was easy to talk to and a good listener,” she said. He is survived by his wife, Julie Ann; daughter and son-in-law, Pam Hastings Carrier and Jim Carrier of Lincoln; sons and daughter-in-law Chuck and Jeanne Hastings of Hastings and Steve Hastings of Barrow, Alaska; and grandchildren Diane and Elizabeth Hastings and Daniel Carrier.